We recently left our apartment in Salem, Mass., for a place in Beverly, Mass., just a few minutes north. 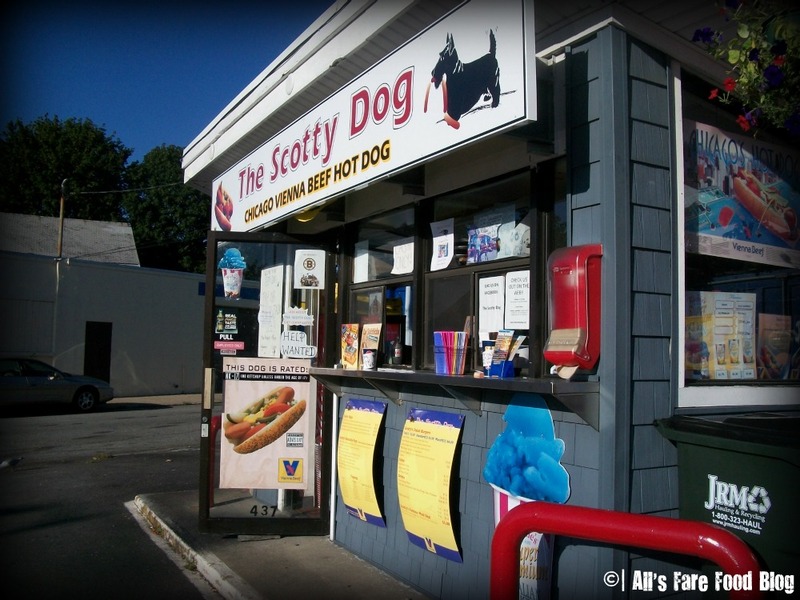 As we were moving, I noticed The Scotty Dog – a little place serving up Chicago-style hot dogs. This hot dog stand opened earlier in 2011 on scenic Route 1A. It has a handful of parking spots for car hop service, plus several picnic tables and Adirondack chairs. 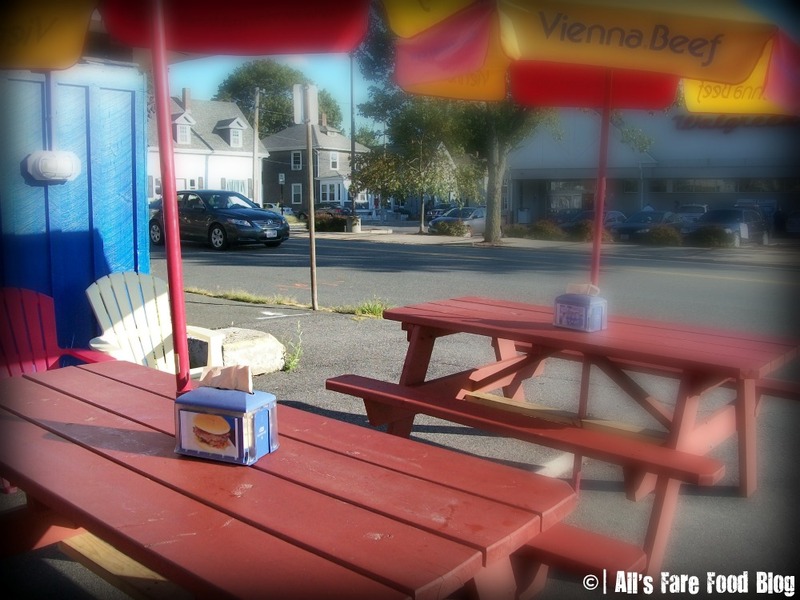 Pictured above: A few picnic tables are available for seating at The Scotty Dog in Beverly, Mass. It’s located on Route 1A across from Walgreen’s. 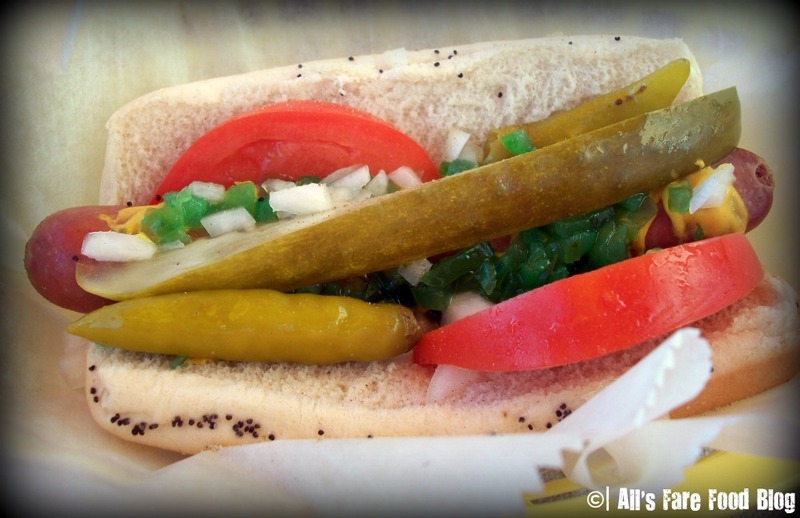 Chicago dogs (pictured above) are served on poppy seed buns with mustard, relish, onion, tomato, sport peppers, pickle spear and celery salt. The service the day of our visit was quick and friendly, too. The menu also includes steak burgers in three sizes: toy (1 patty), standard (2 patties) and Mastiff (3 patties – Woof!). Available sides include fries or potato chips. 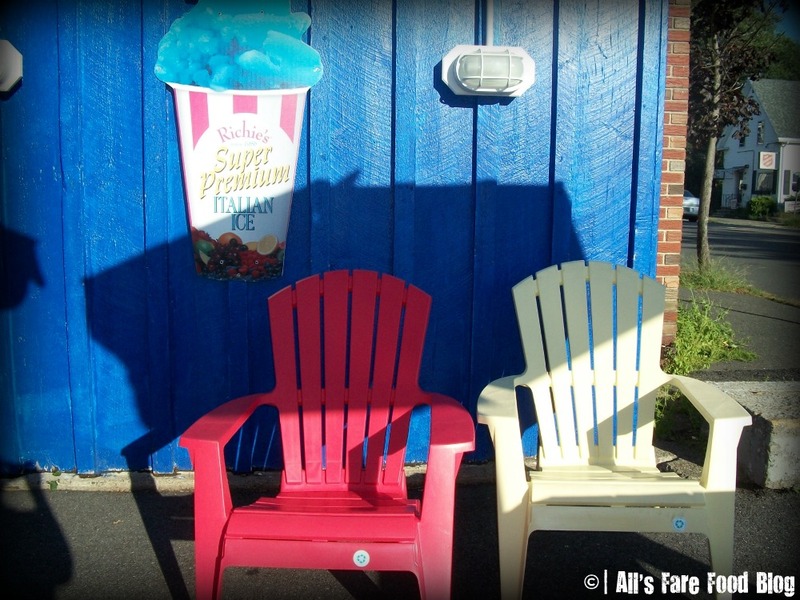 You can also top your meal off with a refreshing Italian ice. The Scotty Dog’s Chicago dog is a nice alternative for us Midwestern transplants in the Northeast. You can also find budget meals after 5 p.m. for $6 (check The Scotty Dog website for the daily deal and mention the ad on the home page to get the special price.) The Scotty Dog only takes cash so be sure to hit up the ATM before you stop by. To learn more about The Scotty Dog or order online, visit www.thescottydog.com. This entry was posted in Cuisine - American, Places - Massachusetts and tagged Beverly, budget, Chicago, hot dog, review, The Scotty Dog by Christina. Bookmark the permalink. Nothing better than a Chicago dog!